Both Dan Miller and Joe Doerksen aims to get their way back after suffering some loss from their previous fights. But only one will remain victorious. Who is it this time? Dan Miller is set to have a shot in Canada as he faces Joe Doerksen in a middleweight bout at UFC 124. Miller might be on the edge after losing three consecutive fights, but he is always known as a tough opponent. With that, Dan Miller took the adversity he faced and turned it into motivation as he defeated John Salter in his last fight. Also on his way to get back to the winning trail, Joe “El Dirte” Doerksen will try to recover himself in the event after a submission loss versus C.B. Dollaway last September. 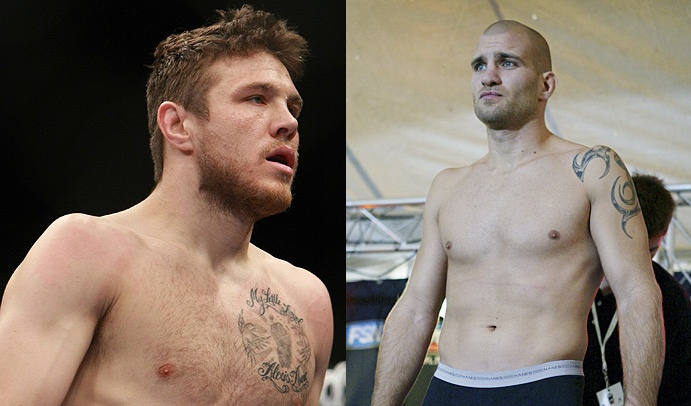 The Dan Miller vs Joe Doerksen match will probably take an undercard spot on UFC 124. The event will be headlined by GSP’s welterweight title defense contra Koscheck. Between Miller and Doerksen, who can make it back to the land of the victorious one step ahead?